Charter National Life Insurance Company was an insurance company that sold disability and life insurance policies to their customers. Never, at any time, was this a health insurance company. In addition, Charter National is no longer operating under their own name when it comes to the insurance that they sell. The reason for this is that in 1989 they filed for Chapter 11 bankruptcy and as a result, were acquired by Allstate. Despite the change in operating name, Charter National is still licensed in most states under the Charter National name. What’s more, they are also listed on A.M. Best as Charter National Life Insurance Company, where they have a B++ rating and a stable outlook. In addition to all of this, Charter National continues to maintain their office in Illinois where the company was founded in the 1950s. They carry the Allstate name on their building and have the power of Allstate behind them when it comes to the products that they sell. They still, however, operate independently in terms of their finances, which is why they do not have the same financial rating as Allstate. Charter National does not have their own website. That is why, for the purposes of this article, the Allstate website will be used to gather information about the products, agents and so on utilized by Charter National. It is not clear as to whether Charter National is licensed to sell in every state that Allstate sells in or if they are licensed in only some states. With no website to check on, there is no way to tell. If you are curious about whether they are licensed in your area, you can check your state’s Department of Insurance, do a search for Charter National, and check their licensing. Because Allstate uses both internal and independent agents, it is likely that Charter does the same. It is also possible that Charter only utilizes independent agents because that is how their business was run before Allstate took over. Again, because Charter does not have their own website, it is difficult to determine how they are running their company. Allstate does provide an agent-finding tool. This tool only provides you with a list of agents that only sell products from Allstate. 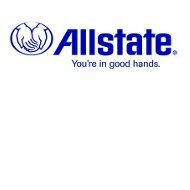 This does not mean that they work for Allstate but that they are contracted to only sell their products. When view the list, you will find that different agents have different specialties. If you are looking for a financial planner, for example, you might want to choose someone who specializes in this area of Allstate’s insurance products. As Charter National does not have a website, you will want to go directly to the Allstate website to file any claims that you may have with the company. Allstate offers 24/7 claims service. In addition, you can register online and file your claims online as well. If you do file a claim online, you can check the status of your claim at any time. In addition, you can manage your policy; pay your bill and more. If you have a question about your claim, you can call their toll free number or you can simply email a request about your claim and get your answer that way. Because this is not a health insurance company, your claims will typically be processed very quickly, especially if you provide all of the information needed at the beginning of your claim. As you may have guessed, there are no Charter National careers listed anywhere; however, you can find a plethora of job openings available at the Allstate website. You cannot get an online quote from Charter National. There are some quote options for Allstate, but since you were looking for health insurance, these quote tools are not going to help you. The good news is that we have a quote tool that can do the job you want. After answering a few simple questions, you will receive quotes from several great health insurance companies that can provide you with the services that you need. You can get your health insurance quotes right now by entering your zip code below!